Would love to know what kind of ads did you use and did you split test to see what works best? Awesome tips ti increase traffic. This is a great way to attract audience. It has thousand words and increases our credibility. Thank you so much for this! I will surely read this and share this to my other friends. Hello chris,Thanks you so very much. Good to know someone is supporting those of us who are online. Nice tips, facebook is really powerful nowadays and too much likes will put you to success, thanks for this post! This is a great outline for increasing Facebook likes – I have thought about Facebook ads for a while now. You gave some great (free) actionable steps to take as well. One question – was that the first campaign you have done on Facebook? Hi Christine, thanks for your comment. FB ads are really effective – so I recommend it to you. Answering on your question – yes, it was my first FB campaign (I use Google AdWords for some of my sites). Why are you asking about it? Great tips on increasing facebook likes. I’ll have to start doing some of those for our blog. I know it’s the overall effort that got you all the fans, but what technique do you think brought you the most? I think Facebook ads are the best way to get fast likes. If the sole purpose is to inflate the social stats, sure you can buy or trade likes. But they are worthless and serve no real other purpose. I would start by inviting friends and like magic their friends would start to like your page or whatever. Of course that would take more than 2 days, but at least it would be more valuable and targeted compared to those fake likes. Thanks for adding your suggestions, Simmeon. On my last question I’m referring to the free methods…I should have clarified it in that comment. Also do you mind sharing the ad you used on your facebook campaign? Hi Josh, thanks for your comment. There is no free method (you choose between time and money). IMHO Facebook ads are most effective. And if you don’t have a lot of email subscribers or tons of other followers it’s the best on the beginning. I just like your honesty when it comes to teach other people how to get things done in a very truthful way. I used this method to increase my Facebook Fans to 1100+ within 3months and believe me Facebook advertising is working very effectively for those who wishes to try it. Hi Valentine, thanks for your support. People think that if we should pay for something (Facebook ads) it’s not fair. But it’s not true – only engaged people click (and some part of them like) our page. Thanks for sharing your experience, Valentine. Thanks for sharing tips to get Like on Facebook Fan page….. I am writing an article in which I am going to uncover some bitter truth about Facebook Ads….. I am not against FB ads but I am not loving it. Hi Chris, very good post! I’ve tried sometimes facebook ads and it really works: cheap, easy and with real people clicking. Very best than buying followers, I like it! Hi Abel, thanks for your comment. I totally agree with you – it’s cheap, easy and with real (and active) people behind. Great post. I’m glad to see some real feedback for facebook ads. I’ve used them in the past for clients and myself. The only immidiate concern is the ROI difference in a like gained from using Facebook ads versus a like gained after engaging the user from another platform. Great post! I’m looking at using Facebook ads to increase my likes. What sort of campaign did you go for? Like campaign, normal ad, sponsored story??? Hi Thomas, thanks for your comment. I used normal ad (in Cost per Click model). I suppose that like campaign (it’s in CPM model) will cost a lot more. I agree as well Chris, those are some great ideas to get Facebook like. I know a lot of people who use Facebook ads but I’m just not going to pay for likes, I’m sorry. Now if I were promoting something I wanted them on my page for I can see that like a special offer or a free gift in order to get them to opt-in to your blog or site. I’m sure that’s what the majority of people are using these methods for. Congrats on those likes, job well done. Thanks again Chris, this is good scoop. You did really a great job bro, All of them are awesome tips to increase Facebook likes, but I don’t think we can get 500+ likes by following these tips without using Facebook ads. I feel I would try Facebook ads ones. Hi Eshan, long time without hearing from you. Hi Chris I am a regular User of Facebook with more than 700 friends But not too much likes. SO i actually wondering this kind of Information. But I read your article and now I fell I got my solution to Increase likes. I want to promote my Business page so I remember your tips and surely Implement it. Last I take the opportunity to thank you for sharing this valuable Information sharing with us. lol, Some of my friends Beg for Likes by Sending Spam Messages 😉 As you mentioned in the post! I wasn’t aware you could get your Facebook ad settings that low. Good to know! With some of the businesses we’ve worked with using a ‘fan gating’ system where you have to like a page before you can view certain content has worked will in procuring likes. Hi Bryan, maybe begging help, but if you want a lot of likes, you need time and/or money (for example to spend it on FB ads or, as you wrote, to prizes on contest 😉 ). Thanks for your comment! I am running an ad campaign for a client, but I haven’t started promoting my own page yet. The thing is that to me, it’s all about having the strategy ready. I need to be active on my own page and create and publish quality content, and that’s something I’ve been “struggling” with. Good to have the chance to connect with you, Jens. How you are getting 100+ Tweets for your every article? Great post – how do you purchase discounted FB coupons? Hi Penny, I bought it via Allegro – it’s equivalent of Ebay on Polish market. You can also try to get it on Fiverr. Another great tactic is to join a niche forum and get to know people there. Then you can add them as Facebook friends and then ask them to like your pages. Thanks for this awesome post Chris. On Facebook getting more likes means getting more viral. I really will try some of them and i strongly believe that i will get lots of likes.Thanks Chris. We can use PayPal to use coupon code but they don’t allow to use same PayPal account for another coupon code in other account. I’ve tried this few months ago and yes we can get targeted audience from FB ads. Thanks for sharing your thoughts, Anup. To get some Facebook likes, we’ve just built a page that lets you squash an internet troll saying hilarious stuff. Come try it out and see if you can use the technique on your own site. Great article. but what do you suggest for a competition photograph which needs likes? All you need to do is like this picture, oh and like the official Nando’s Namibia page too. You can run giveaways or shout out, Catherine. Hi Chris, i was gonna ask you, how does it work with facebook ads if you select a day campaign budget let’s say $10 and choose per day option? Do they charge you only $10 and the paid as will be available just for one day or do they charge you $10 a day every day until you cancel the ad? Hi noah, you must set strict “time box” for it. If you don’t, you will be charged till you cancel it. Hi, I’m pulling out al the stops i want 500 like is a night for my fb page Rileys fish….help if you can I’m doing as many of your suggestions as possible!!!! Organize a contest and search for Facebook fan pages within your niche, then offer like exchange! I am the administrator for the new site STD911.com,We offer a free STD eBook resource guide to download and share, STD 911, that encourages STD online testing. I started a FB ad campaign on Monday and by Saturday had almost 800 Facebook likes! My daily budget was $15, once you hit your daily limit, your ad stops showing until the next billing day. Every couple of days, FB debits my paypal account. I set my time limit for 1 week when the ad campaign will end – unless I choose to extend it. You can also choose to run ads continuously if you have the ad budget. You can select what countries in which to show your ad/stories. Since our testing labs are in the US, I chose mainly to target the United States, though the information in the STD 911 guide is for a worldwide audience as sexually transmitted diseases know no boundaries. Once you hit 400 likes you can choose to promote any post, story, video you wish for as little as $5. My understanding is that FB promotes you to your ‘likes’ and (if you choose) to their friends as well. This is where you can really experience exponential growth (“They tell 2 friends, and they tell 2 friends, etc.). I found this whole experience very easy to set up and activate – much simpler than Google Adwords and less expensive. Hope someone finds this helpful. Good luck in your future marketing efforts! Thanks for sharing that with us, Barbie! I have a Fashion Blog and Facebook Fan Page I’m trying to get them famous. With patience and passion you can reach success, Mohammed. Good luck with your blog and also with your fb page! We have used Facebook ads successfully for posting an incentive to like our page. At the time we were running a cell phone contest and we got 1000 fans thanks to them ads in a month. It was great work. This was a great article, especially for someone who just set up a facebook business page. As another commenter mentioned, I am really surprised that FB advertising is that reasonable. I don’t want to go with “buying” likes – I want people who are genuinely interested, with whom I can interact, and who will hopefully become customers. Thanks for your help! Be sure to work hard to get genuine Facebook fans and real likes! 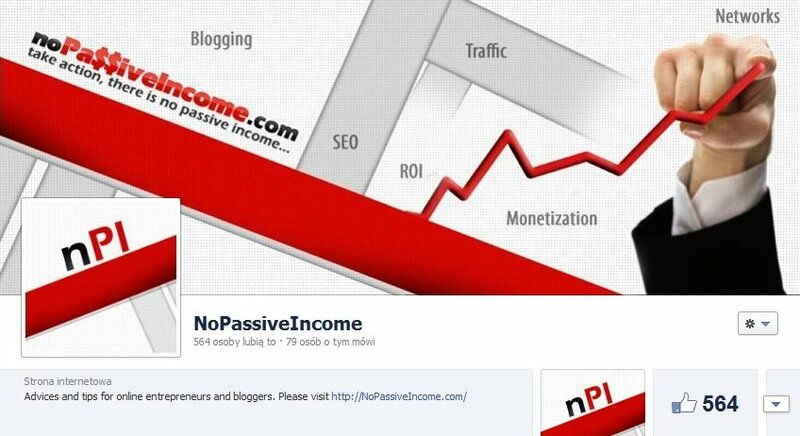 I also need to increase facebook fans for my blog and planning to run a contest on FB. I hope it will be effective. Giveaways and contest are a great way to boost social signals, Yogesh. I usually don’t bother commenting but this article is worth it. I never knew I can pay so little money for PPC campaign. You mentioned that we can buy fb coupon? Is it for a first time customer or can we repeat (I don’t think so?). Anyway, I am going to look fb coupon on ebay now. Another question is you mentioned about 3rd party app, is it an app from facebook or how do we get it? I looked on google but not very clear since I am all new to this..Thanks a lot for sharing this awesome article. My blog has pretty nice and informative content still i am struggling with FB likes. Learnt some new tips to get up with my Facebook page. Hi Chris! Great tips. While success in business cannot be guaranteed, business owners can work on stacking the deck in their favor. Implementing the above tips can help to FB likes on the track to success. Thank you so much for this article. Social signals are really useful for any business website! Great , ill try to implement and get more fans for my page. I am sure you will get more fans and likes with these tips, Karthimx! What are the new year tips for FB likes?? I am looking to get more likes on my page as well. I’m running a caption contest, asking those to either write a caption, share or like…and whoever “wins” will get a free spotlight on my Facebook Page and Website. I promoted it (it passed the 20% minimum text rule) with a budget of $5. In a couple days, over 5,000 views and tons of engagement. So far, I’ve $3.96 and have gotten a ton of exposure…when people are on my page, i’m hoping they will see the quality content I’m providing. Well worth it. Thanks for your feedback, Salsa! Good to hear you get more likes from fb with this post! Great to know that, Marc. Hope you’ll have more likes with these tips, DoWava! Thanks for adding that, Sussie. Social signals are indeed very important for SEO, Sunil! Thanks for your comment, Anirudh. This is something I have always struggled with! I love some of the suggestions but the one I will be trying is the advertising. I had just assumed that it was too expensive so I never tried, but that all changes now! There are many options available with Facebook ads, just be sure to set it up correctly. spam. email me and then I will let you all Know the FB Page. I realy do like the Idea but I have to trust you to write the website down here. share your Facebook fan page here to get more likes? Wow thanks for the information. I wish I could get this many likes in one day. I don’t even have that many friends. 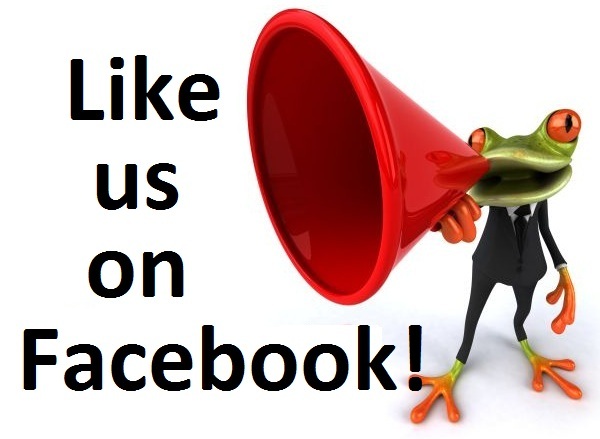 be sure to follow the tips mentioned in this post to get more likes to your Fb page. Also to have more friends! Hi Chris! Thanks for your informative article. I am feeling lucky to read your post. You have shared almost all secrets for getting more facebook likes. Thanks ! Glad you enjoyed the post, Greg. This article is just what I needed. Many thanks. I have a Facebook page for my blog where besides the posts from the blog I also post links to interesting articles from other sites but my number of likes is still quite pathetic. I recently also discovered something called Social Exchange Sites and I am wondering if this is also the way to increase likes. That’s a interesting idea : the Social Exchange Sites . Very nice article on blogging. I am new to blogger and want to learn more from your articles. Thank you very much! Spam message is a BIG no no. You don’t want to SPAM, Dipra. It’s a big no, even for Facebook fan pages. use these tips to get more fb page likes. Better genuine Facebook fans, than purchased likes! Hi Chris, thanks for the tips, very helpful. I aim to start running Promotional Posts on my page but in order to do that I need +100 likes. Research has led me to believe I can achieve the first goal of +100 likes by running an Ad Campaign and the comments and your replies have confirmed my view that a successful Ad campaign will likely increase the number of likes. So far so good. I landed on your page seeking insight into what exactly makes a successful Facebook Ad campaign but that sadly I didn’t find. Is there a Facebook Ads for Dummies out there somewhere or more specifically one or two How To links that you could share with us that would help me and others who are seeking guidance? Really helpful tips, but I doubt on getting likes through Facebook ADS. You will definitely get many likes if you spend on Facebook ADS, but I guess all of them are not active users and some are fake. You won’t actually get clicks from these users. Chris had some great results with that, VenusLaik. It really depends on how you set it up. I have used fb ads last month and the response was quite amazing. Your all tips are awesome, thanks for sharing them. Glad to hear that, Yogesh! Appreciate the comment, Abu Monsur. Glad this article helped you, Govand. Thanks for sharing that, Mohsin. These are some awesome tips to get more Facebook likes. My page has only single digit likes at the moment (it’s about 10 days old). In one point you mentioned about giving incentives to like the page. Can you please elaborate it? I mean, what kind of incentive can be given? It could be giveaway, shout out, or mentions to the users who like your page. I’m still working on the Facebook likes. It’s growing slowly but it’s growing. Thank you for the tips. Glad you enjoyed the tips in the post, Jennifer.